Romance isn't usually associated with geekdom. More often, geeky stories are filled with worlds at risk that need saving by people too busy with all that world-saving for a personal life. For these heroes and villains, however, saving (or destroying) the world (or the galaxy) without a true love would be awfully boring. We catalogued a number of our favorite geeky love stories to help put even the nerdiest among us in the mood for Valentine's Day. 8. 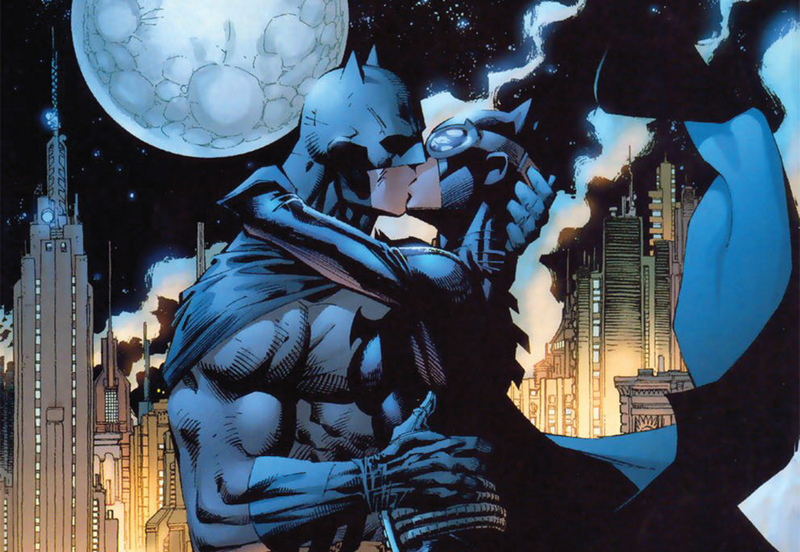 Batman and Catwoman (DC Comics): In the persona of Bruce Wayne, Batman has had a string of romances, but none has captivated audiences like his pairing with Catwoman. For decades, the two have done the forbidden dance, playing cat and mouse—or bat and cat, rather—for each other's attentions and affections. They very nearly got married last year, but Catwoman realized that by marrying him, Batman might no longer exist, and the world needs Batman. Tragic. Romantic. Beautiful. For more, read Tom King's 50-issue run from 2016 to 2018. 7. 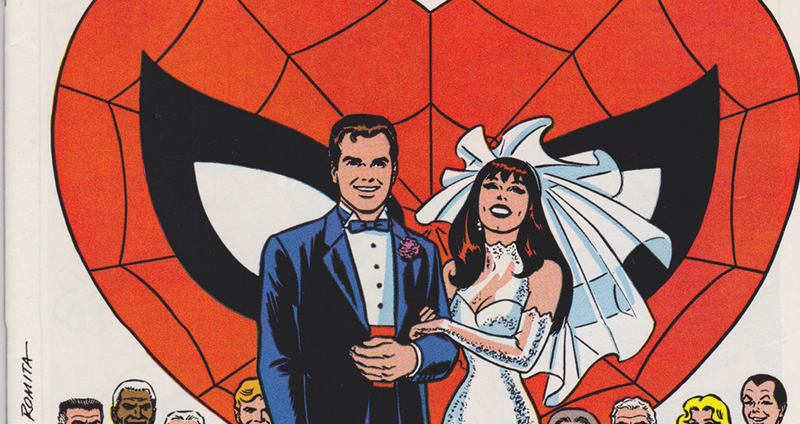 Peter Parker and Mary Jane Watson (Marvel Comics): There have been many iterations of the "one true pairing" of Peter Parker and Mary Jane Watson. From the earliest days of the Spider-Man comics, Peter had problems with his love life, most notably the death of Gwen Stacy, but Mary Jane was always better for him anyway, and her first line, "Face it, Tiger, you just hit the jackpot," was as true then as it is now. For the latest dose of the Peter Parker and Mary Jane romance, check out Spider-Man: Into the Spider-verse, still in theaters. 6. Harley Quinn and Poison Ivy (DC Comics): Although Harley Quinn was created as a love interest for the Joker, her greatest pairing leaves that abusive psychopath behind. 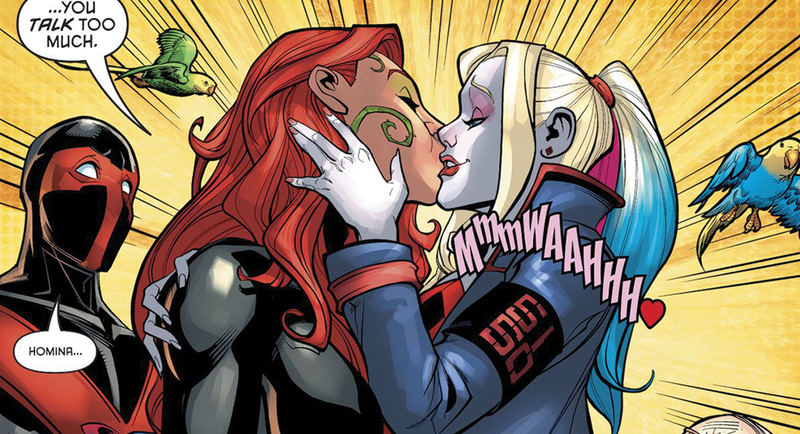 For many years, Harley and Poison Ivy have been involved in a queer, non-monogamous relationship. Their exploits aren't traditional, but they are great fun. Most recently, they even got married, as recounted in issue No. 70 of Injustice 2. 5. 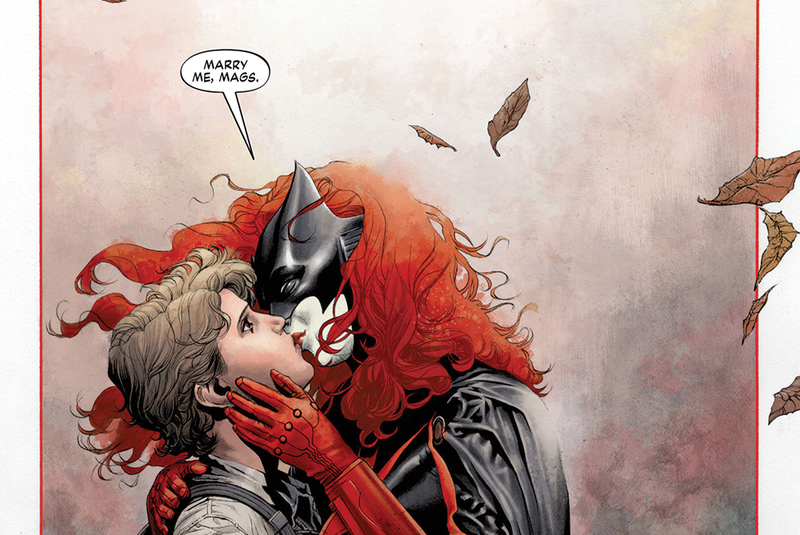 Batwoman and Maggie Sawyer (DC Comics): Starting with issue No. 854 of Detective Comics, Kate Kane takes over the book as Batwoman, and her relationship with Gotham Police Officer Maggie Sawyer heats up the pages. These issues and subsequent spin-off comics are some of the best reading out there. This pairing courted controversy, as well, with an entire creative team leaving the book after they weren't allowed to show the marriage of these two characters. 4. Wolverine, Jean Grey and Cyclops (Marvel Comics): I've long called X-Men comics a soap opera, only with more tight leggings and superpowers. Part of the reason is the perpetual love triangles. The classic push-pull in the relationship between Jean Grey, Wolverine and Cyclops is one of the most compelling reads (or watches) in the world of romance. For a good sampler, check out The Dark Phoenix Saga or the movies X-Men and X2: X-Men United. 3. The Doctor, Rose Tyler and River Song (Doctor Who): As a virtually immortal timelord, the Doctor doesn't often have time for romance, but when he does, he makes it count. In this new era of Doctor Who (starting in 2005), we've had two of the greatest pairings in the history of the franchise: The Doctor and Rose Tyler, and then the Doctor and River Song, his wife across time. Both stories end in tears, but both are incredible. Start with the first episode from 2005 and just watch everything forward from that. 2. 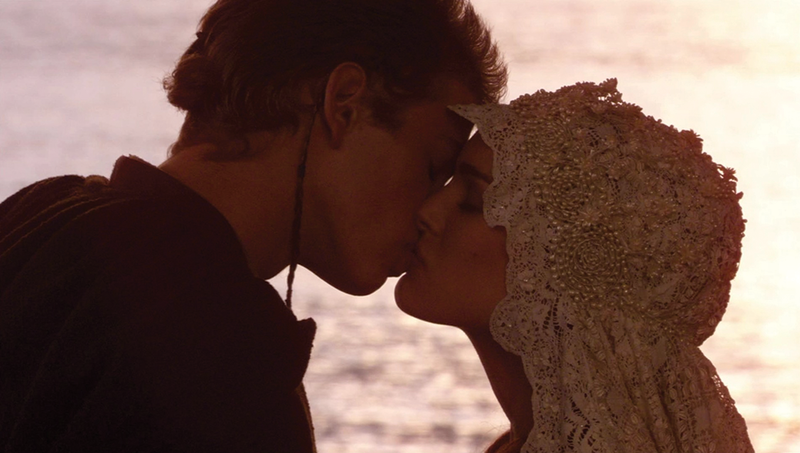 Anakin Skywalker and Padmé Amidala (Star Wars): Many of the most beloved romances are tragic. Perhaps my favorite on this list, Anakin and Padmé are, essentially, desperate teenagers looking to find secret love amid their hectic lives, but their love plunges a galaxy into chaos. Experience it yourself by watching the first three episodes of the Star Wars Skywalker saga. 1. Han Solo and Leia Organa (Star Wars): Han and Leia might have one of the most iconic love stories in the world of nerdery. With equal parts sarcastic barbs and heartfelt love, these two go to the ends of the galaxy to save each other and their way of life. Patterned loosely on the romantic duo in Gone with the Wind, Han and Leia have been the pinnacle of relationships in science fiction for almost 40 years. Check them out in episodes IV through VII in the Star Wars saga.